Google Chrome comes with a zooming function which will enlarge the web page including text, images, videos etc. But each web page needs to be manually zoomed in or zoomed out. 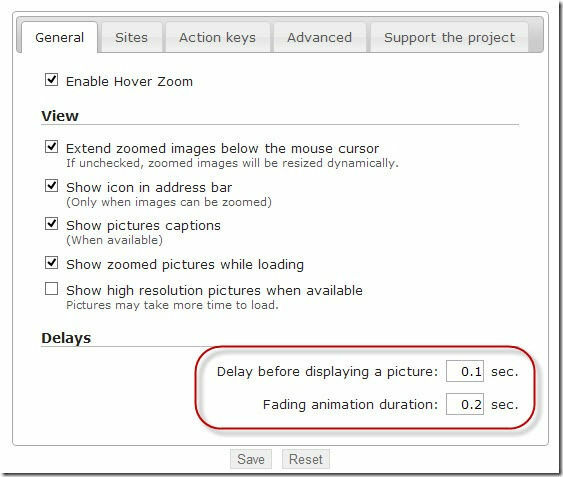 Hover Zoom can automatically zoom photos on mouse hover in Chrome. The shortcut for zooming in is Ctrl – + and for zooming out, you can press Ctrl – -. To zoom in or zoom out using the mouse, you can hold the Ctrl key and move the mouse scroll button up or down to zoom in or out. Most of the times, we need small images to be zoomed in to take a closer look at pictures. Hover Zoom is a wonderful Google Chrome extension which does the trick for us. 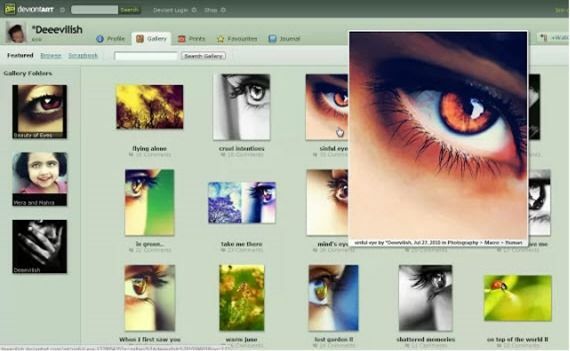 Hover Zoom provides larger versions of thumbnails or small images when you hover your mouse over the image. This is done automatically without delays. Just move your mouse pointer over an image and it will open a magnified version of the image in a hover window without clicking or opening anything else. When you move your mouse pointer away from the image, the magnified image will automatically disappear. Sometimes it can be annoying that the extension opens the images instantly even if we hover the mouse accidentally. Fortunately, we can configure the delay after which an image is magnified. To configure the delay, go to Chrome Settings –> Extensions. Under Hover Zoom, select Options. Under Delay, adjust the delay in seconds according to your needs. You can also enable or disable Hover Zoom extension for specific sites. The biggest issue with Hover Zoom is that it doesn’t work for all sites but will work for majority of the sites including Facebook, Twitter, Google, Reddit, Amazon, Tumbler and of course iTechtics. Overall, if you open websites with a lot of small images, Hover Zoom extension is a must have for you. If you are uncomfortable with Hover Zoom, you may also try out similar Google Chrome extensions like Photo Zoom for Facebook, Photo Zoom for Twitter, Image Hover Zoom, and Hover Free. Which Google Chrome extension works best for you? For me, the primary extension to zoom images still remains Hover Zoom. And if you want it to be general across all Windows rather than only browsers, you may user the ImageZoomer tool. How is CoolPreviews? It’s available for Firefox. I like the Facebook photo zoom feature more attractive. Not interested in zooming functionality anywhere else. I am using Firefox at the moment. Is there any plugin which can do the same trick on Firefox? I want to zoom pictures in firefox.